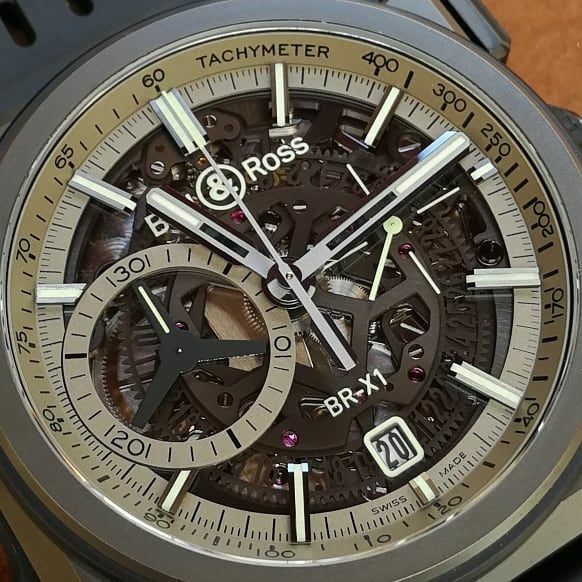 Having roots in the military and aerospace industries has always been a source of much pride and inspiration for the Bell & Ross haute horlogerie brand. 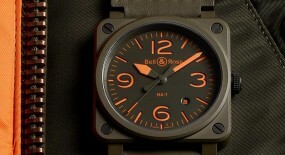 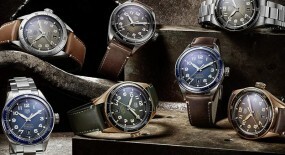 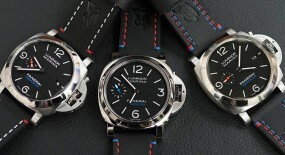 And once again they have taken aesthetic cues from combative gear to craft their most recent release, the “Bell &Ross BR-1 Military” limited edition watch. 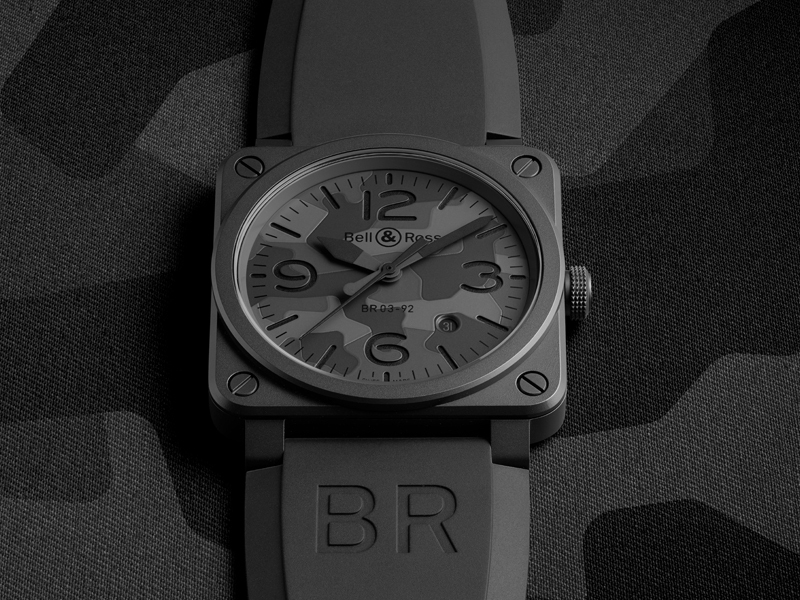 or, the “Bell & Ross BR 03-92 Black Camo” (BR0392-CAMO-CE/SRB) that shares historical links to the GIGA (Special Opeartions Unit of the French National Gendarmerie) and RAID (Search, Intervention and Deterrence Unit of the French National Police). 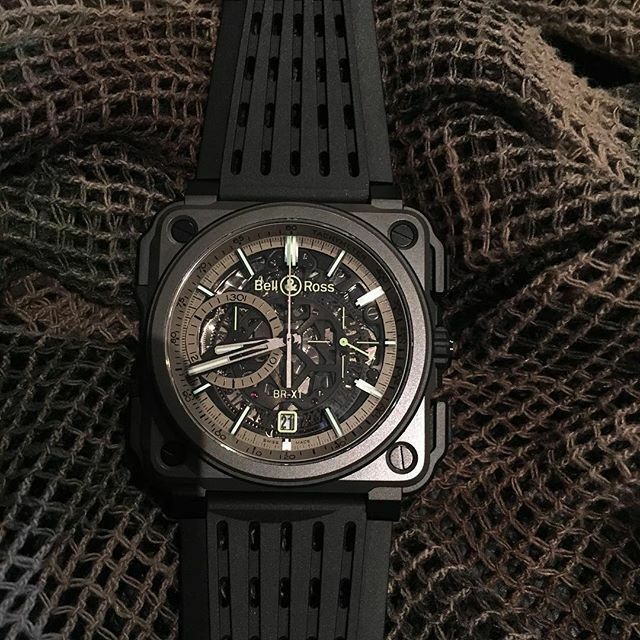 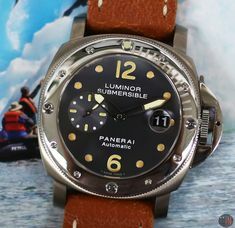 Another matte black military themed timepiece with a camouflaged dial, which we further reviewed here. 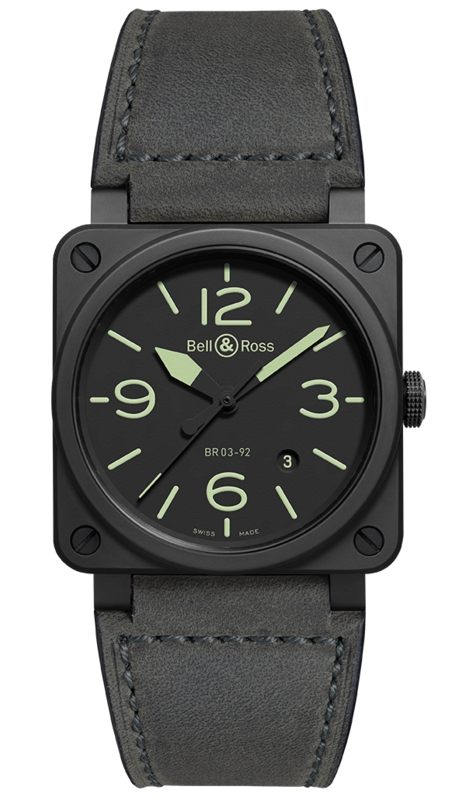 This newest military Bell & Ross comes in a 45mm case made of khaki colored HRT (High-Resistance Titanium) and black ceramic with rubber inserts, which creates an appealing yet subtle contrast between the two case materials. 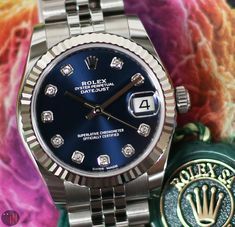 On the flip-side this watches case back is solid, except for a tinted sapphire crystal opening that’s been centered over the balance. 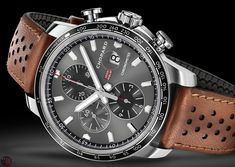 It also comes equipped with two rocker push-buttons that operate the chronograph functions, plus a setting crown in-between them. 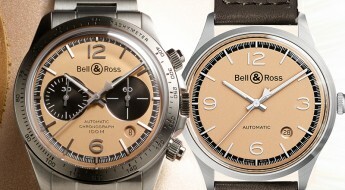 It is shaped by the iconic circle on a square that characterizes many of the Bell & Ross releases, with an exposed screw on each of the squares four corners. 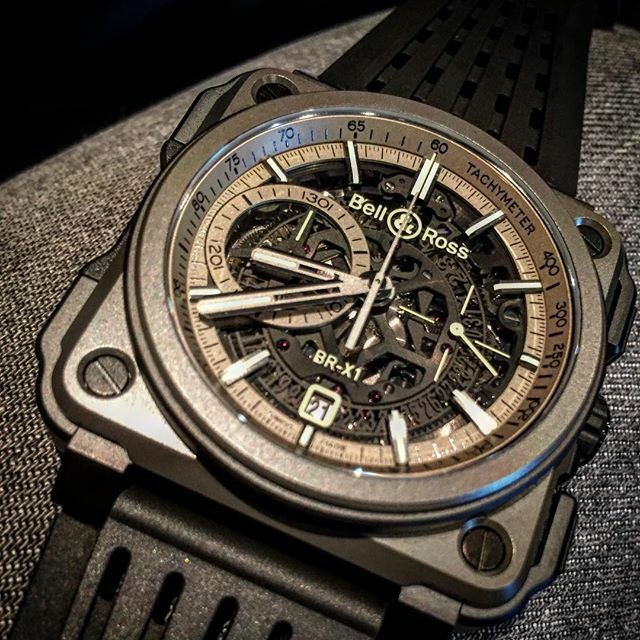 All topped by a sapphire crystal with an anti-reflective coating, which assists with water-resistance on this watch being able to reach up to 100 meters (330 feet). 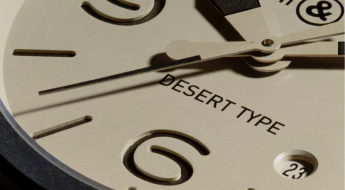 Time is exhibited on a skeletonized dial with hour index markers, followed by a khaki colored ring of smaller printed minute index markers. 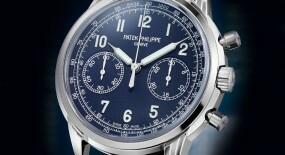 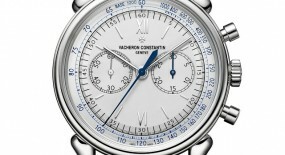 A tachymeter scale can also be seen on the flange of the watch, nearing the bezel. 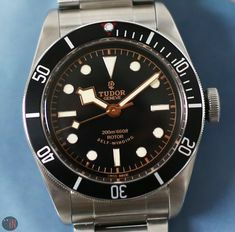 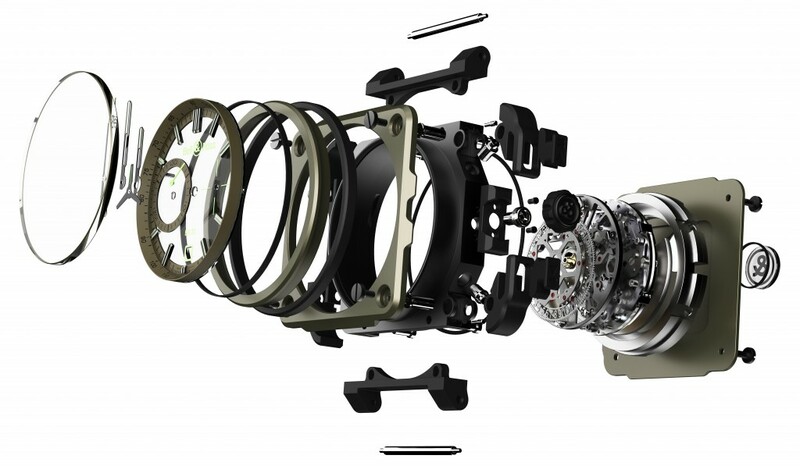 There are two sub-dials: a sub-seconds at the 3 o’clock position with a green hand and ¼ markers; plus a 30-minute counter at the 9 o’clock position. 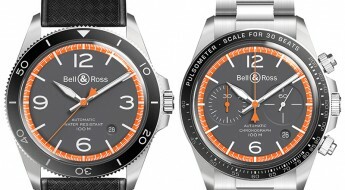 The metal applique central hands and hour index markers have all been filled with a luminescent filling, for an enhanced legibility. 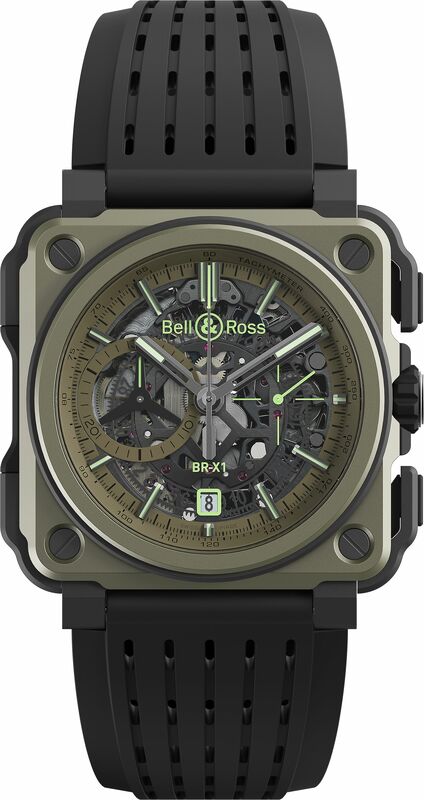 This “Bell & Ross BR-x1 Military” (Ref#: BRX1-CE-TI-MIL) is powered by a self-winding mechanical movement, caliber BR-CAL.313 with 56 jewels and 28,800 Vph. 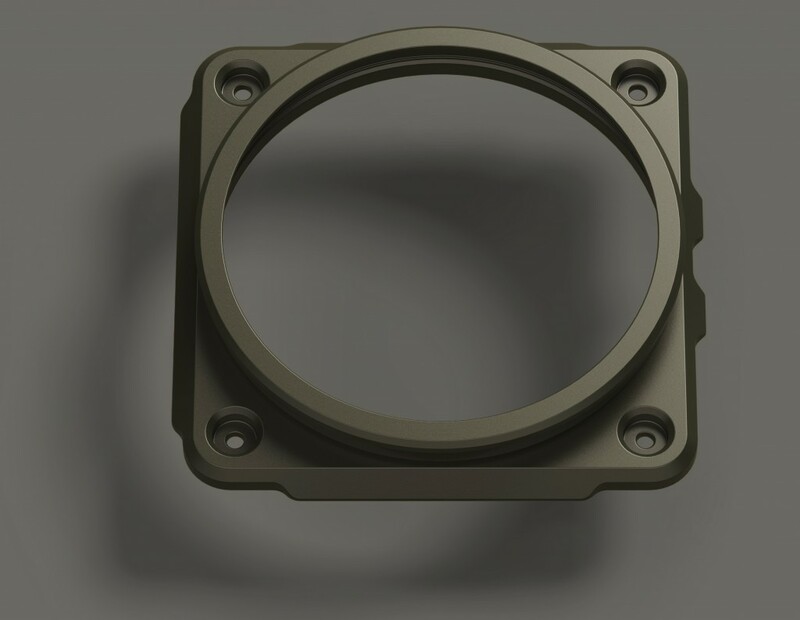 It comes equipped with an X-shaped upper bridge. 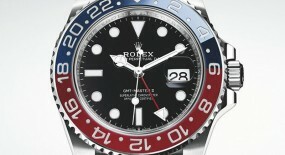 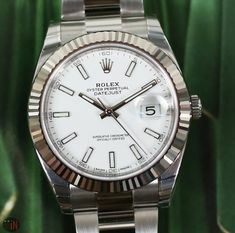 Power reserve on this watch can last up to 42 hours, when fully wound. 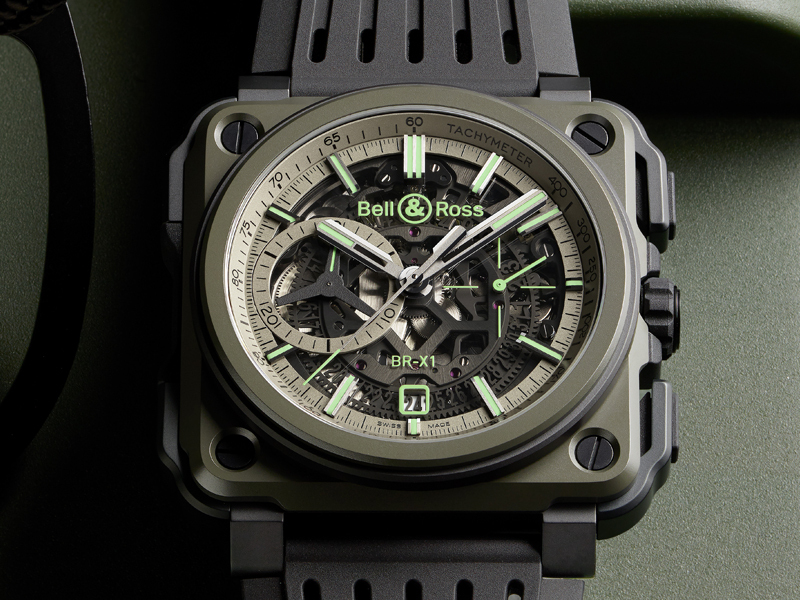 Mounted to the watch is a perforated black rubber strap, secured to the wrist by a steel black PVD coated pin buckle. 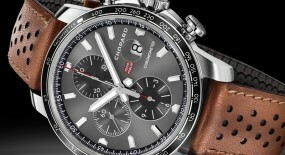 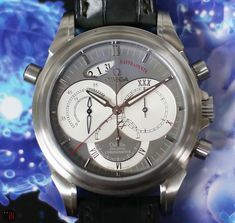 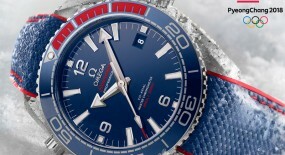 This is a limited edition with only 250 manufactured timepieces. 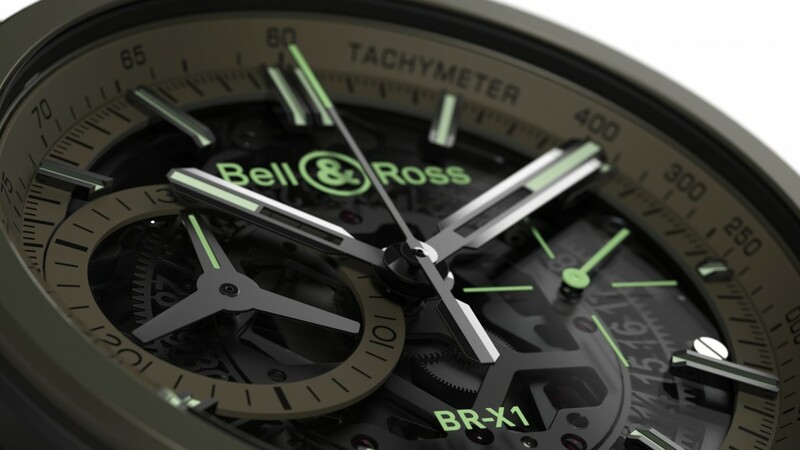 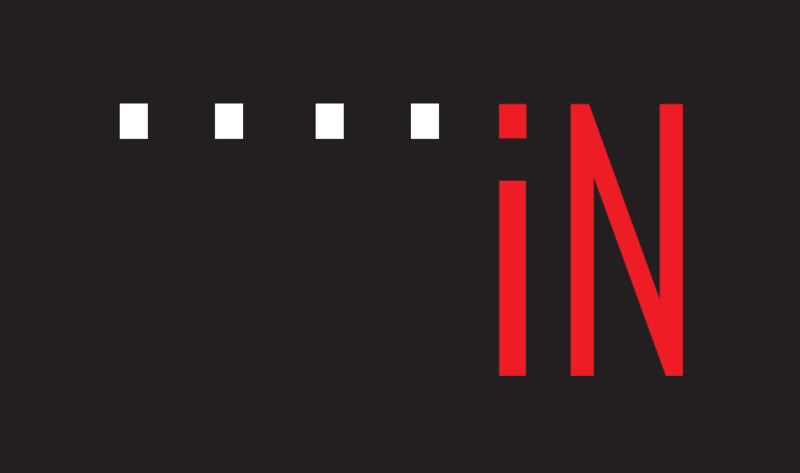 For more up to date information visit the official Bell & Ross website here.